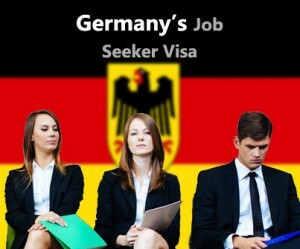 Graduates of the University, who have a German or an authorized university degree, or a foreign degree equivalent to German degree, are allowed to enter Germany for finding a job through Germany Job Seeker Visa. Individuals staying in Germany on this visa have a valid duration of 6 months to find a job. Individuals have to prove that they can financially support themselves during their stay on Job Seeker Visa. During the period of finding employment one is not authorized to work because the Job Seeker Visa does not allow them to work either by self employment or by other ways. Upon finding a suitable job one can apply for a Germany work permit. German citizenship is granted after waiting for a certain period of time. Applications of Germany Job Seeker Visa have to be filed at the Consulate General of the Federal Republic of Germany located at various places. While applying it is compulsory to submit all the supporting documents in original. The documents will be verified and once the verification is done the decision on the visa will be made. The processing time of the visa is 2 months or more. Want to know more updates on Germany Job Seeker Visa pleace fill this Free assesment form one of our counsultent will get back to you. For more updates follow us on Facebook.